Learning is very easy but Learning with essential component is likely to be lucky. Learning with Audio-visual will give more confidence and liking towards concept clarity. Concept clarity will help to get more marks in the exam. Ultimate goal of more marks can be achieved not only through mugging but more marks with concept clarity leads child to be a successful person in longer run. 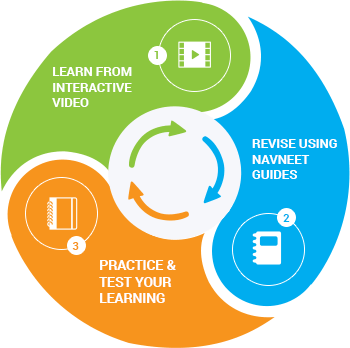 To become TOPScorer; we have developed education ecosystem where child can learn through interactive videos, read and revise using Navneet Guide and take unlimited exams as practice test. 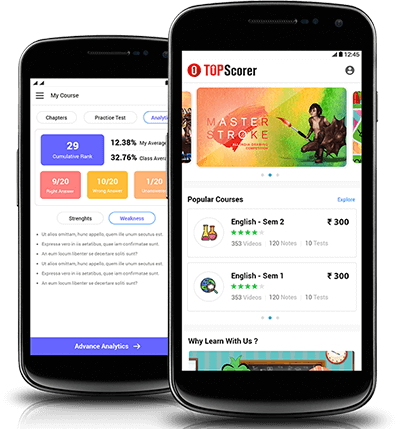 All the content provided in TOPScorer is prepared by subject matter expert and from the house of Navneet so Quality is not at all compromised.